Ask the children to colour each butterfly, using fine felt pens. 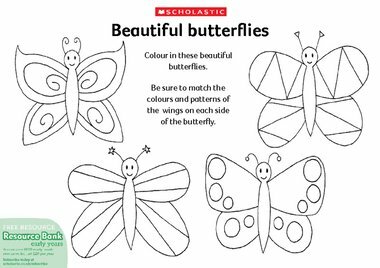 Remind them to match the colours and patterns of the wings on each side of the butterfly. Cut out the butterflies, and hang them on different lengths of fine thread. Use for discussion and counting activities.